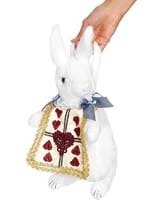 Unleash your rage upon your loyal subjects this Halloween with our adult queen of hearts Alice in wonderland Halloween costume. 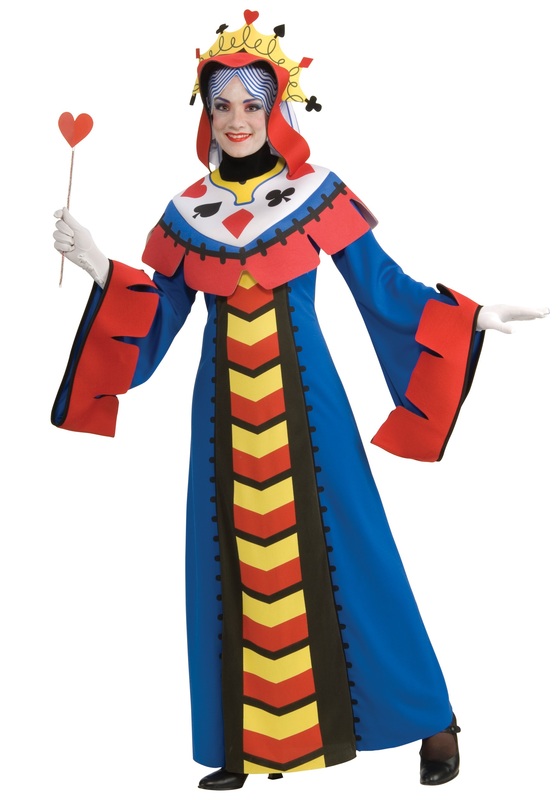 The unique costume includes a blue, polyester dress that zips in the back for closure. 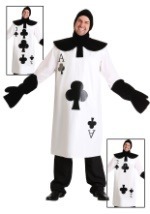 It has an over-sized collar with a screen-printed design that features yellow, blue, white, black and red with all suits of a playing card deck, hearts, spades, diamonds and clubs. 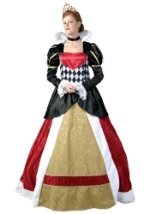 The dress has a black, yellow and red inset that runs the length of the dress as well as stitch-like accents. The long, flared sleeves have over-sized red foam cuffs. 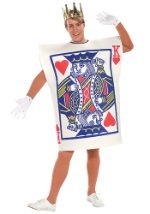 The dress also ties behind the waist for a fitted look. 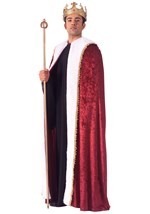 The costume is complete with the included crown headpiece. 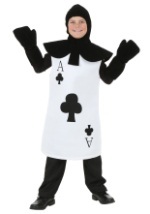 It consists of a white, polyester wig that has blue streaks and ties into place. 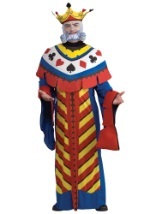 The wig is attached to a foam, yellow crown that is accented with blue, black and red. 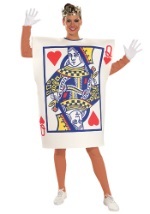 All the suits of a playing card deck also line the crown. 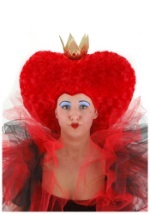 Add our movie quality queen of hearts wig to look like Helena Bonham Carter's Underland character this Halloween!